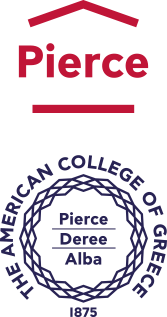 The American College of Greece | Discover Deree Day: A taste of college life for prospective Deree students! Home » News & Events » News » Discover Deree Day: A taste of college life for prospective Deree students! Discover Deree Day: A taste of college life for prospective Deree students! On Thursday, July 5, more than 195 prospective students and their parents joined us for the greatest Discover Deree Day of the year! Young people and their families explored everything Deree has to offer and took guided tours around campus on a beautiful summer morning. 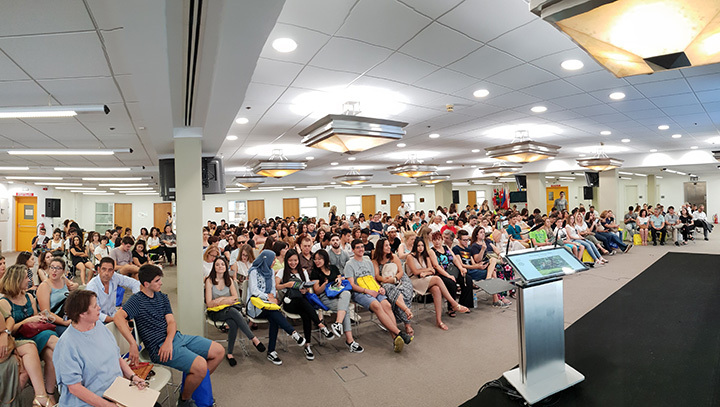 The event continued with an information session delivered by Vice President of Enrollment and Administration, Dr. Dimitris Andreou, to a full-house at the Upper Level Library. Visitors discovered what makes Deree an excellent educational choice and the unique opportunities that are available to all students including academic and athletic scholarships, customized career counseling, a vigorous student life and much more. Dr. Andreou welcomed on stage two Deree alumni to share their personal college experiences with the audience. Prospective students had the opportunity to attend a class of their choosing and experience firsthand Deree’s academic excellence. A meeting between faculty members and visitors followed at the Student Lounge, where guests and professors discussed about Deree’s 26 innovative majors, study abroad possibilities, international internship opportunities and much more. Discover Deree Day concluded with a networking event for visitors and members of the Deree community over snacks and refreshments.